Skype4B call controls, create/update freshdesk tickets, add new customers, customer profile screen-pop is now all within your freshdesk web portal. Sensiple’s Tryvium Desk - Skype4B CTI integrates Freshdesk with Skype for Business (SfB) / Lync / O365. 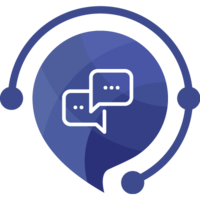 This integration extends SfB collaboration to freshdesk customer support teams. This CTI provides agents the ability to open, create, update and review tickets within freshdesk web portal. This solution helps enterprise to leverage existing investment on Microsoft’s Skype for Business (SfB) and Freshdesk. 1. Skype4B Call Controls to Accept, Reject, Hold, Mute, Conference, Transfer voice calls. 2. Agent screen-pop to display customer profile and existing tickets. 3. Agents can create new tickets, update existing tickets. 4. Agents can create new customer profile. 5. Agents can search Skype4B contacts and initiate outbound calls. 6. Click to Dial integrated within freshdesk ticket and customer page. 7. "After Call Work" to wrap-up the call. 8. Language support for English & Spanish. 1. Installing this Tryvium Desk - Skyp4B CTI app from freshdesk app gallery. 2. Installing Sensiple Skype4B CTI service for desktop. Please contact marketing@tryvium.com. Note : Skype4B CTI service for desktop will support only for windows machine.